It’s morning at the Parrot Education and Adoption Center in San Diego, where PEAC founder and president Bonnie Kenk and her volunteers begin their day like most others—preparing breakfast for 85 parrots and cleaning soiled cages. On this particular day, in the midst of this activity, the phone rings. The caller is a woman who can’t tolerate her parrot anymore, wanting to know if PEAC can take him. With a full house and 120 birds already on the waiting list, Kenk regretfully turns the caller down. Like so many others who rescue birds, Kenk wears multiple hats. She oversees operations, completes mountains of paperwork and balances the books—in addition to feeding birds, cleaning cages, and fielding calls. And like other rescuers, Kenk has a deep emotional attachment to her work. For better or worse, she’s in it for the long haul. As difficult as the work is, she has made this commitment because she cares deeply for birds and is well aware of the growing number of unwanted companion birds, especially parrots, but also canaries, finches and doves. The 2003/2004 National Pet Ownership Survey, prepared by the Greenwich, Connecticut-based American Pet Products Manufacturers Association, Inc., reports a U. S. companion bird population of 17.5 million. Birds are found in one of every seven homes, making them the nation’s fourth most popular pet (cats, dogs and freshwater fish hold the top three slots). The passage of the federal Wild Bird Conservation Act in 1992 spelled the end of the lucrative trade in birds taken from the wild in their countries of origin and sold as “pets” to Americans, but it has also had the unfortunate consequence of giving rise to a booming business in captive breeding operations in this country, with many of the same kinds of excesses and inhumane practices that pervade the commercial and indiscriminate breeding of dogs, cats and other animals—and this is now resulting in large numbers of birds being relinquished by disillusioned owners. As shelters began to report this trend, the ASPCA responded by declaring January 2002 as the first annual “Adopt-a-Rescued-Bird Month” (see “Resources”). The initial attraction to a bird is understandable. Birds are exquisite and sociable creatures, possessing intelligence often compared to that of preschool-aged children. But because birds are sold in pet stores, unwitting consumers assume that birds are “easy”—requiring only food, water and a cage. Nothing could be further from the truth. In fact, birds are extremely high-maintenance animals who require a great deal of mental stimulation and regular periods of time to interact and socialize. As “flock” animals, birds adhere to a “pecking order” that may include the humans in the home, and because there currently is no readily available spay/neuter procedure for birds, their caretakers will need to contend with complex hormone-influenced behaviors. A little-appreciated fact about captive-raised birds is that while they may be tame, they are not domesticated animals as are dogs and cats, and therefore still display wild behaviors. Partly as a result of unmet psychosocial and physical needs but partly by nature, birds scream, pull out their own feathers and mutilate their bodies, engage in fierce displays of dominance and bite—hard. 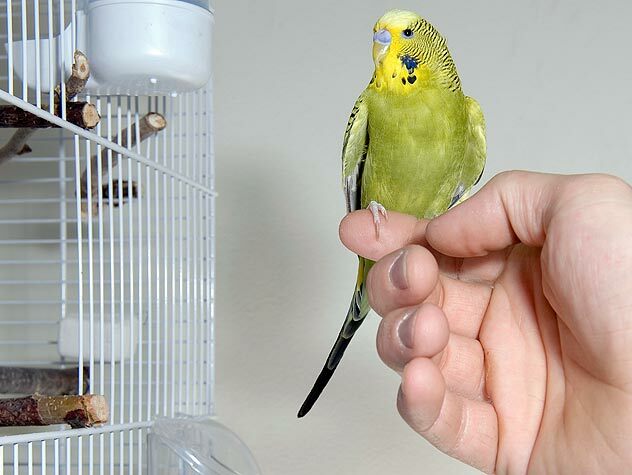 Not everyone, especially those who acquire birds impulsively or without adequate research, is prepared for these behaviors or the level of care required. Inevitably, a percentage of birds become victims of isolation, neglect and abuse. The large (read expensive) species are typically passed from one family member to another until, if fortunate, they end up in a reputable shelter. Smaller, inexpensive species such as parakeets and finches may simply be placed at the curb as garbage, cage and all. Many shelters, however, are still not well-equipped to house and care for unwanted birds, which unlike cats and dogs represent many different species with distinctly different needs. Avian rescues have evolved to fill the gap. Julie Murad has shared her life with parrots since 1974. In 1993, she adopted Gabriel, a hyacinth macaw, who died prematurely less than two years later from a devastating illness. Murad’s commitment to honor Gabriel prompted her to found The Gabriel Foundation (www.thegabrielfoundation.org), a parrot welfare organization—a phrase she coined because “rescue” is only part of the problem. Incorporated in 1997, the foundation’s mission is comprehensive. It serves as a research and educational model for proper avian care; it is involved with conservation efforts; and it rescues, rehabilitates and rehomes unwanted birds or, if necessary, provides unadoptable birds with permanent sanctuary. Located outside Aspen, Colorado, the foundation’s primary aviary consists of an 8,500-square-foot building, complete with separate species rooms, play areas and outdoor flights. Murad and her staff—including an aviary manager and assistants, education coordinator, office manager, and licensed veterinary technician—care for approximately 150 to 200 birds at any one time. In 1994, Bonnie Kenk was working with a wildlife group in San Diego when a fellow volunteer suggested she start an avian rescue. Pondering the idea for just 24 hours, Kenk decided to act on the suggestion and took in her first bird after just three months. Formally founded in 1996, the Parrot Education and Adoption Center (www.peac.org), is headquartered in San Diego but has chapters in Pittsburgh, Cleveland, Charlotte, and Anchorage. The all-volunteer staff cares for birds in their homes until permanent arrangements can be found. PEAC hosts monthly seminars and an annual educational conference, now in its eighth year. One of Kenk’s objectives is to disseminate updated and accurate information about parrots, and to correct misconceptions people may have about them. In 1998, Tracy Bockenhauer was already sharing her life with parrots when she rescued Amos, an African grey who remains part of her flock today. After she took in Amos, word traveled, and people began to bring her more unwanted birds. Bockenhauer knew she needed a formal plan to better accommodate the birds, so she founded LaCrosse Avian Rescue Rehabilitation & Adoption in her hometown of Lacrosse, Wisconsin. Until the latter part of 2001, Bockenhauer ran LARRA (www.larra.org) from her home, but as demand grew, she moved the rescue into a separate 3,000-square-foot facility. With the help of an executive assistant and 10 volunteers who can manage the rescue without her, Bockenhauer takes in unwanted birds, works with them to develop trust and social skills and finds them good, permanent homes. In 1998, shortly after bringing home a Quaker parrot as a companion for their cockatiel, Eileen McCarthy and her husband joined their local bird club in the Twin Cities area of Minnesota. The Quaker turned out to be a “little terror,” and soon sent his owners to the club in search of information about parrot behavior. McCarthy and two other club members volunteered to administer the organization’s anemic adoption program and took in an astonishing 120 birds the first year. The obvious need for rescue and rehoming services led McCarthy to found the Midwest Avian Adoption & Rescue Services in 1999 (www.maars.org), and the next year they moved into a facility that was large enough to accommodate the number of birds in need of their services. MAARS has cared for some 1,200 birds over the past four years. Sixty volunteers work 12-hour shifts to care for 240 birds at any one time, and there is presently a 60- to 90-day waiting period for birds in need of new homes. MAARS, the largest accredited avian rescue/sanctuary in the United States, has just launched a capital campaign to raise funds for a modern facility in the Twin Cities area that will allow them to meet the increasing demands for their services. • Adopt-A-Rescued-Bird Month resources. Visit the ASPCA’s website (www.aspca.org) and Petfinder.com (www.petfinder.com) beginning on January 1, 2004.• Avian Rescue Network is a web-based affiliation of people involved in the day-to-day effort of rescuing birds; visit www.avianrescuenetwork.org. • How to Start an Animal Sanctuary, Starting a Non-Profit Organization to Help Animals and Getting Your Paws on More Money. Free to download at Best Friends Animal Society (www.bestfriends.org) in the “No More Homeless Pets” resource section, or contact Best Friends at 5001 Angel Canyon Road, Kanab, UT 84741; (435) 644-2001. • How to Start and Maintain a Successful Parrot Rescue Organization, by Bonnie Kenk. Send a check for $10 to Parrot Education and Adoption Center, P.O. Box 600423, San Diego, CA 92160; write “Rescue Book” on the memo line. • “Start Your Own Rescue” is a webpage (www.fosterparrots.com/rescue.html) that lists basic health protocols for individuals interested in adopting homeless birds. For more information, e-mail Marc Johnson of Foster Parrots, Ltd. at marc@fosterparrots.com, or contact Foster Parrots, P. O. Box 650, Rockland, MA 02370; (781) 878-3733. • Two videos are available free from Animal Welfare Coalition members. The Fire and the Wings (Foster Parrots, Ltd.) documents the challenges faced by bird rescues and the reasons captive birds become homeless. Order by e-mailing marymary81@aol.com. Wild at Heart (Animal Protection Institute) examines the impact of the pet trade on exotic birds in captivity and in the wild, with suggestions on how to help. E-mail monica@api4animals.org. Is Avian Rescue For You? On the flipside, avian rescue is no nine-to-five job. The hours are long, the work is physically, emotionally, and mentally exhausting. Murad rises at 5:30 each morning, and regularly puts in 16-hour days. She knows of couples who have divorced as a result of the stress and long hours involved. Sam Foster, an avian consultant from Florida and the off-site liaison for The Gabriel Foundation, believes that most people enter avian rescue with good intentions, but are often unprepared and become overwhelmed. Having to refuse at-risk birds for lack of space is common, as is regular contact with emotionally and physically tormented birds. Additional tasks include recruitment and training of adequate numbers of dedicated volunteers and the constant need to raise money to meet expenses. Fortunately, by teaming up in new ways with traditional humane organizations where they live, individuals who wish to become involved in helping displaced birds can do so without necessarily setting up their own rescue. In September 2000, a New York City-based avian rescuer named Denise Kelly, Minnesotan Eileen McCarthy of MAARS, and four other rescuers simultaneously came to the same realization: much more than individual rescue groups would be needed if the swelling tide of displaced birds was to be stemmed. Consequently, they formed the Avian Welfare Coalition “to create a voice in the animal-protection movement for captive birds.” AWC, a St. Paul, Minnesota-based grassroots coalition of Association of Sanctuaries- or American Sanctuary Association-accredited avian welfare groups and national animal welfare organizations, maintains a resource-packed website (www.avianwelfare.org) that promotes the coalition’s three primary goals: educating the public about the true needs and nature of exotic birds; performing rescue and sanctuary services; and working for more laws to protect birds. Each year AWC sponsors an invitation-only “avian welfare roundtable” to identify initiatives for the coming year. Participants at the 2003 conference, held in Minneapolis in May, agreed to focus on two projects: to publish a handbook for shelters on caring for captive exotic birds (the ASPCA is collaborating on this, and a publication date of January 2004 is anticipated; watch the AWC website for updates); and to go all out in support of a consciousness-raising Second Annual National Bird Day on January 5, 2004. (For details on this campaign, go to www.api4animals.org and type National Bird Day into the search window.) In the space of just a few years, avian advocates have gotten themselves organized! Paula Fitzsimmons lives in Madison, Wisconsin, where she serves as education director of her local bird club, acts as a liaison with the area humane society and volunteers with the Fine Feathered Friends Avian Sanctuary. Additional reporting by Marion S. Lane. 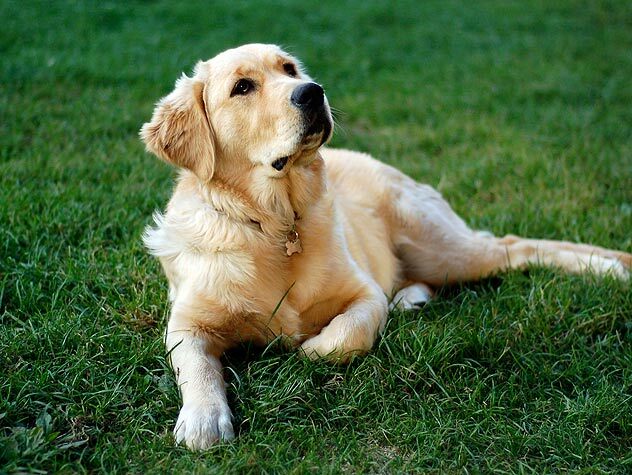 Learn about breed rescue groups who are dedicated to breed-specific adoptions.